The TRADE > News > Asset Classes > Equities > Active versus passive trading: The end of a false dichotomy? Active investors are sensing that the long-term tide towards passive investing may be starting to turn. According to Morningstar’s bi-annual Active/Passive Barometer published in March 2018, the success rate of stock-pickers in the US increased sharply in 2017: 43% of active managers outperformed their average passive peer, compared with just 26% of active managers in 2016. With US interest rates starting to rise, could 2018 be the year when active strategy finally rebounds? The average passively managed dollar, according to Morningstar, still outperforms its active rival. 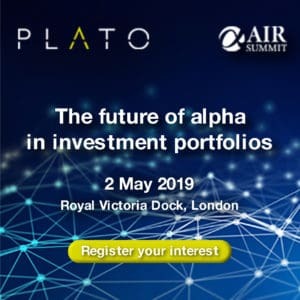 Nicholas Edwards, chief executive of Alternative Asset Management in London, is convinced that the future is passive. Active investors, in Edwards’ view, are doomed to a shrinking minority in the future: “Most active managers underperform and pension fund managers won’t take the risk.” A small pool of investors will continue to provide the underlying due diligence Edwards says, however, those who perform that due diligence do not see things in quite the same way. The financial crisis made traders more fearful, according to an equity derivatives trader in Paris who preferred not to be named. In a context of low interest rates, “people became much happier with returns of 5%-6%” and saw passive strategies as the safest way to achieve them. As the memory of the financial crisis recedes, and with interest rates likely to rise, the trader expects that outperformance via more active strategies will be sought. “People are more likely to take risks when things are going well.” This suggests that, at different times, active and passive approaches may both be appropriate. However, the choice of passive or active strategies is not simply a question of the economic cycle. The rise of artificial intelligence (AI) has the potential to redefine both approaches, as the various facets AI are likely to be used by fund managers to collect information much faster than in the past. This will allow them to replicate the performance of a chosen index more accurately and cheaply, the Paris trader says. But AI cuts both ways and also has the potential to improve active strategies. The trader gives the example of the release of a new iPhone. The stock price of Apple is sensitive to initial customer reaction and comments posted by new purchasers on online forums are highly valuable information. 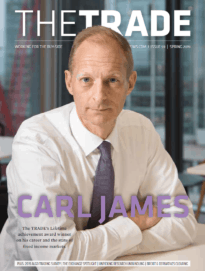 Collating and synthesising this feedback to form an overall verdict has in the past been labour-intensive and time-consuming, but, says the trader, AI can dramatically accelerate the process. Advancements in technology, which made passive investing possible in the first place, is now threatening to break down an old and misleading distinction. Santiago Braje, global head of credit trading at ING Bank in London, believes that these developments can serve both active and passive investors. Braje leads “Project Katana”, which started life about 18 months ago and is paid for by ING’s innovation fund, building out a tool which combines artificial and human intelligence. Braje cites the huge amount of information needed to make a trading decision. Processing that information, he says, often still takes place in the mind of the individual trader using “rudimentary” tools such as Excel spreadsheets. “Katana”, the Japanese word for sword, was first used to give ING’s own market makers a fast overview of market conditions. In a real-time environment, “every second that is saved in scanning for that information is valuable,” Braje says. Traders are supported by, and control, the technology rather than being replaced by it, he argues.”The universe is simply too big” in terms of available tradeable securities, and “Katana” can quickly reduce that universe to a manageable size. Braje says that this is where the prototype can add most value. As well as developing a tool with a large active asset manager client, ING is also in discussions to apply the technology for a passive manager, where Braje believes it can be used to improve the efficiency of execution. Braje expects that the prototype can be turned into a working system for clients within a few months. Passive investment does not equate to passive investors. Such investors continue to control holding periods, and these can be much shorter than might be expected. Epoch Investment Partners calculate an average holding period of less than nine days for the SPDR S&P 500 exchange-traded fund, the largest on the market, in 2016. It seems more useful to think of active and passive as points on a relative scale, rather than as opposing strategies. The question, as for the Vanguard index-tracking pioneers of the 1970s, is ultimately about fees, and trust. The only tangible forward-looking certainty about a fund is its cost: Investors don’t have anything else that they can be sure about. A lack of trust arises when an active manager charging high fees achieves returns that look like those of a closet tracker. According to James Sore, chief investment officer of Syndicate Room in Cambridge, UK, and fund manager at Fund Twenty8, which claims to be the only passive fund for early-stage investing, one of the most important factors fuelling the continued rise of passive index investing is the “huge pressure to create accurate, comprehensible and comparable disclosure of fees. “Post-fee performance comparisons have exposed a persistent under-performance of actively managed funds compared to passive. Furthermore, a number of actively managed funds were not clearly demonstrating their total fees – top-line fees were competitive but excluded other, less visible fees. Active managers need to deliver value for fees.It is that simple,” he argues. After all, investors wanting to avoid assets that may at times be overvalued by any objective measure have only two choices: active management, or avoiding the market altogether. Morningstar data shows that active clearly outperformed passive during the market crashes of 2000-02 and 2007-09. All this suggests that there is something artificial and misleading in the distinction between active and passive. A decision to track an index, after all, still involves an active decision to purchase the securities in that index. There are few, if any, passive investors who have a portfolio that accurately weights all globally investable assets. Many funds track a local benchmark index – a clear piece of active asset allocation. There seems no obvious reason to assume that an investor who is reluctant to pick individual securities will be any better at asset allocation. Ultimately, technology is open-ended and will serve whichever trading style is cleverest in embracing it.